The Townson Road Precinct is located within the North West Growth Centre and was formerly part of the West Schofields Precinct. 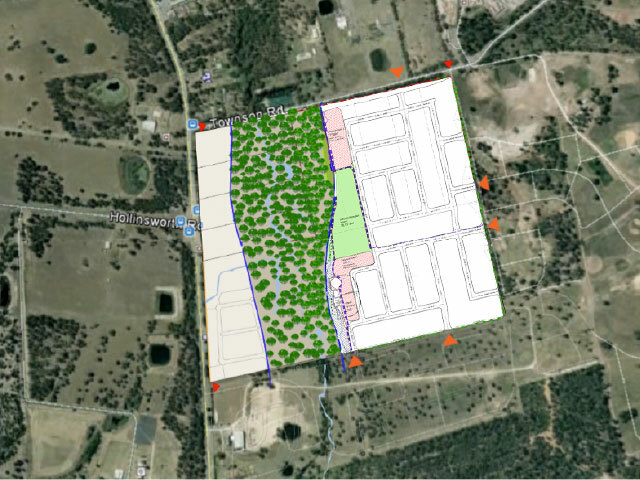 Mecone introduced the landowner group and was successful in obtaining the only part-precinct release for development from the Minister to allow a rezoning application to be made to Council. Mecone has been working closely with DP&E and Council to progress the rezoning of the site. The Precinct will include approximately 380 residential lots, 2 hectares of public park, drainage infrastructure and retention of around 7 hectares of environmental conservation land along the Bells Creek riparian corridor. Marsden Park is part of one of the fastest growing areas in Sydney, with substantial greenfield development, new employment uses and services such as Ikea, Bunnings, Costco and Masters and a range of community facilities. Ongoing management and negotiation of the planning proposal through the gateway process.